What an appropriate color for this weekend! The pictures of Home of the Brave with Oh My Stars on top are definitely more true to life than Home of the Brave on its own. It is a really dark blue creme that doesn't look black in any light (thank goodness). For some reason I thought that the glitter in Oh My Stars was much more spare, but alas I was wrong. I thought it would be cool to have the glitter seem like stars in the dark blue night...I know, really abstract stuff. Unfortunately it didn't really work, but I think it still looks pretty cool. Black Coal is NOT a new polish from Quirius. I think I was confusing it with Frozen Tears and figured that they went together. Anyway, the finish on it is pretty identical to Frozen Tears. Black Coal is a dark silver metallic foil that reminds me a little of a dark Trixie from Zoya, but the flecks in it are thicker in Black Coal. Application was much better even though it still needed 3 coats. I love this one! Happy Monday! I can't believe this is the last Monday of June! Where did the time go? Continuing the latest Quirius polishes is Madam Crimson. In the bottle it looked extremely dark and I didn't think it would be my type of color. Unfortunately I was right. It is a dark red jelly with lots of brown undertones. Most of you know my feelings for jellies (I don't care for them because they will never be completely opaque) and this was pretty typical. This is three coats and I still had some bare spots. I dunno, I think others may like this, but it just isn't for me. Yup, another purple! Again, what a weird name for a polish-"News of the Beloved." Isn't it weird? Anyway, I love the light lavender creme, but what a pain to apply again! This was three coats, but there are a few spots that are still a little bare. On to my lemmings. 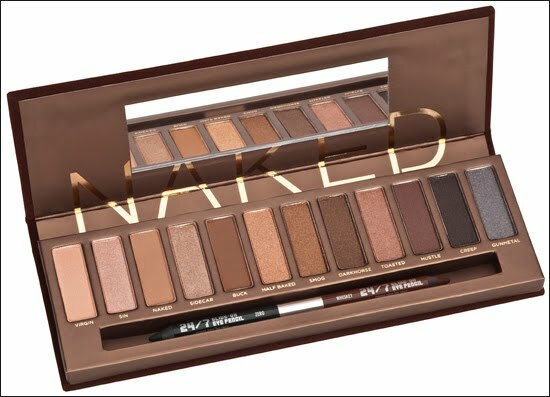 So I've been loving makeup lately, and I found out that Urban Decay has a new palette out for this fall. It's called the Naked Palette and just look at this beauty! YES, a palette full of neutrals and a couple smokey colors. All colors are full sized shadows and come with a mini Eyeshadow Primer Potion and a double sided 24/7 pencil in Zero and Whiskey. This is a $204 value for only $44! Good job Urban Decay! Sick of Quirius yet? I hope not because I have some of their latest releases to show you! Up first is Frozen Tears which is a soft lavender metallic. In some lights it really looks like a foil as well. I really liked this one and I received several compliments on it. The application was pretty good. I didn't have the streakiness I've had with some of their brighter colors which made me happy. There's just something about the name of this polish that I love. It truly is a demure vixen. When Essie is on, she's on! 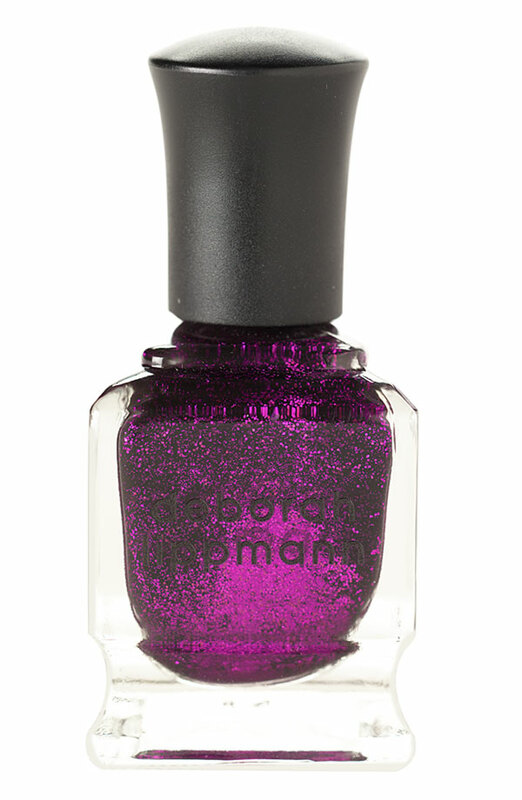 Demure Vixen is a mauve color with hints of brown and has a slight purple/blue microshimmer. I hope you can see the shimmer in the bottom 2 pictures. Even though the shimmer doesn't really stand out too much, it still adds a nice depth to the color. This polish also only needed 2 coats and it applied like a charm. I really hope Essie keeps this up. Just to start, I don't have Pretty Edgy from the Essie 2010 Summer collection, and if you do, I am totally jealous (Pretty Edgy is that beautiful grassy green creme)! Ulta was having a buy 2 get 1 free deal with Essie so I picked up three of them. Today I have another bright color called Vermillionaire. It is a vibrant orange creme with a hint of red in the background. I love it! I currently have this one as my pedicure and it's perfect! Application was actually really good on this one and I only needed 2 coats. I just wanted to say that after I swatched the Summer Beach Blowout Collection from Diamond Cosmetics, they e-mailed me to tell me that Pelican Peak Purple does not have a real beach associated with it. You may remember that I asked where this beach is located since I had never heard of it before. I was just really happy that they are willing to go out of their way to clear things up. I lied the other day. I said that I have three polishes from the Essie 2010 collection. I forgot that it was 1 from the Resort Collection and 2 from the summer. Up today is Lapis of Luxury which is a stunning cornflower blue creme. I absolutely adore sunflower blue and I'm really surprised Essie could come up with something so nice (well, that isn't necessarily true since I loved the North Folk collection (aka L'Oreal Passport to Paradise collection) for last spring). Application was unfortunately really thin and needed at least 3 coats to get rid of visible nail line. No worries because I still love it! Keep it up Essie because I swear I don't really want to hate on you! So many days of Quirius! I think I have only 1 more day of these and then I will post 3 polishes from the new Essie Summer 2010 Collection. Quirius was nice enough to send me their newest polishes so I will try to sneak those in at some point as well. Anyway, The History Night is a really bright violet purple creme that actually has a very tiny amount of shimmer in it (you may be able to see it in the second photo). What a weird name for a polish. I always wonder the background behind the names that are chosen. Application was pretty good on this one. I think I did three coats, but I probably could have gotten away with two. It has more of a satin finish since it is a neon so I added their topcoat to show what it would normally look like. Man, this polish is bright! Like, burn your eyes bright. It's called Sunshine Energy by Quirius. It's a coral creme that is just perfect for summer. Again, I think I am just having streaking issues with their more neon polishes because this one was also streaky. After the third coat it was just fine though. Also this picture is shown with topcoat because it dries to a semi-matte finish since it is a neon. Has anyone been watching the World Cup? I am in a pool at work and I was third from last until today. I actually guessed all the games today. Go New Zealand! Man, for some reason I swear I was hearing a lot of fireworks outside. I guess the 4th of July is coming quicker than I thought. Anyway, up today is Quirius' Strawberry Smoothie which is a really nice pink/rose creme. Application was much closer to the polishes I'm used to by Quirius. It was really smooth and pigmented and only needed 2 coats. While it is nice, it is a little boring. I have a few more pinks coming up that are really shazam, so not all is lost. Why hello there Pepto Bismol! Who knew how awesome you'd look smeared on my nails. Wait? You say that is a nail polish from Quirius called Ok Is Me (I know, I hate the name, too)? So yeah, I sort of love how this polish looks. You know what I don't like? The formula. Again. It isn't too thick or too thin at all; I can apply it just fine. My issue is that it was so.dang.streaky. Until the third coat I didn't think it was going to look decent at all. I'm happy to say that after the third coat I started loving it. Last week I went to Sephora with my husband (yes, he's one of those guys who comes in with me), and he insisted I have this polish. I told him if he buys it, I'll wear it. Of course I would have bought it for myself because I love glitter, especially bar glitter, but he didn't have to know that. Anyway, unlike most topcoat glitters, the one is pretty packed with glitter. I had a few bare spots, so this is technically 1 and a half coats. I haven't really done any gradient nails but I think this would be really awesome for that. And come on, yellow nails with BAR GLITTER? You can't get much better than that. 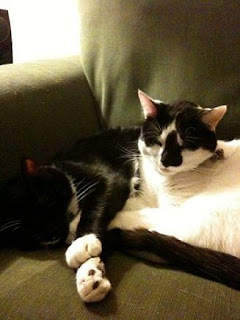 I bet most of you have noticed a few new changes to the blog. I really hope you like the new background and layout. We are currently still working on rearranging a few things, so please excuse our mess. Please leave me feedback to let me know what you think of it! I decided to go with a darker background because I thought it would make the polish photos stand out more. So what is up with the name on this one? Sure, there is some green in this yelllow polish, but overall, it is just a yellow creme. After the first coat of this one, I was a little worried because it streaked so much. The second coat was also pretty streaky, but after the third, it was just fine. Despite the streakiness, the application was just fine for a yellow. Overall, it's a pretty color with streaking problems. You may remember this polish from yesterday, but rest assured, I'm not crazy. 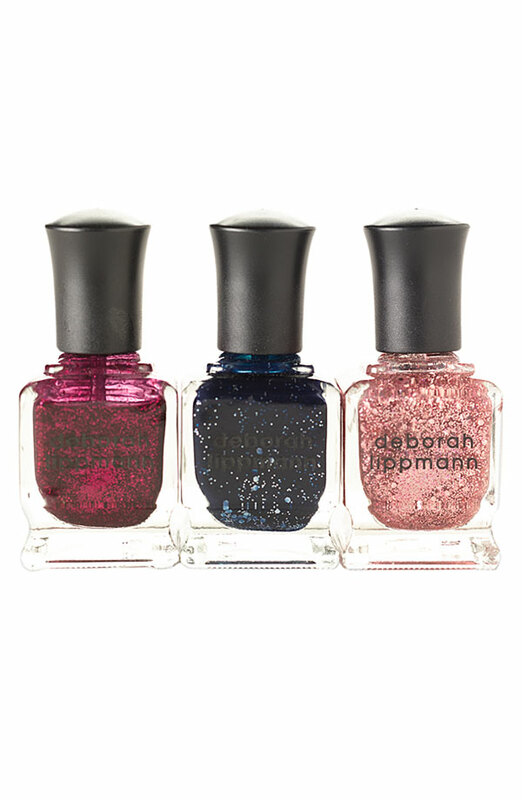 There has been much talk about Sally Hansen's Hidden Treasure. 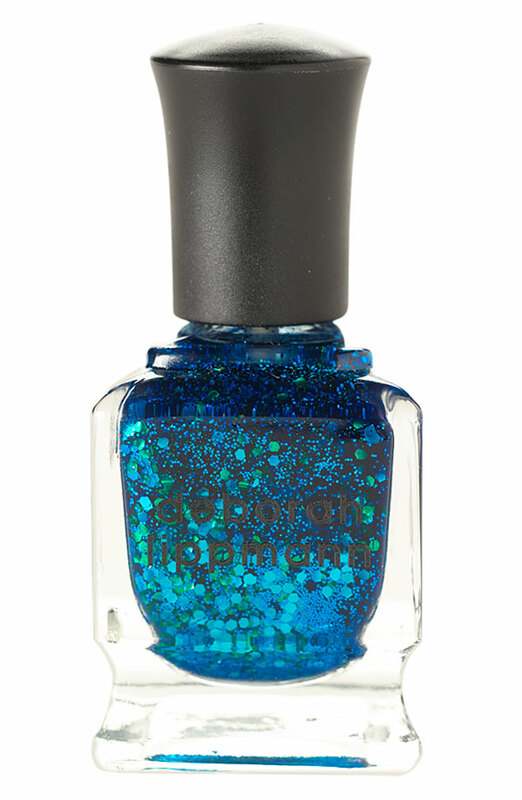 People have gone to a dozen or so Walgreens looking for this elusive polish. I was lucky enough to get the last bottle at my closest store. At first, I thought I didn't need it since I have several other flakies from Nfu-Oh. Even with pictures, I thought I could live without it. Anyway, I take it all back because this is awesome! Different colors really come out based on what base polish you have on. It has lots of gold, pink, red, green, etc. I was also impressed with how many flakes are really in there. I have only 1 coat shown, and that is all that is really needed. This thing really packs the flakies! I absolutely hate the tapered wide brush on these, but it wasn't an issue since this is mostly a topcoat. Overall, if you find it, buy it! I'm happy to announce my June giveaway. I know, I am way late this month-sorry! I have two polishes to give away, Starry Night and Caribbean Turquoise by Quirius. In order to enter, please leave a comment to this post with your e-mail address. You must be a follower in order to win. And finally, this is only open to US readers (I am so sorry to my international readers. I promise to have a giveaway for everyone soon). Please only 1 entry per person. A winner will be chosen by random on June 25, 2010. Up today I have a polish from Orly's new Plastix Collection which is indeed supposed to have a plastic finish. Although this one is called Retro Red, it definitely has a coral feel too with with so much orange in it. It is not quite a matte, but not quite a shiny finish either. So overall it is a satin-like finish. It reminds me a bit of some of the companies who tried to make matte finishes, but just couldn't get there. I don't mean for it to sound negative, because it is sort of cool, but there are some things I can understand people may not love. One thing some may wonder is the drying time since you cannot use a topcoat (if you do, you will lose that plastic finish). I used three coats here, but you may get away with two. Unfortunately you can see some of the bubbles that formed from having three coats. It is slightly thick, but not too bad. Drying time is not as quick as a matte, but it was definitely dry in less than, say, 20 minutes to half an hour. I bought mine from Ulta and retailed for $7. Fortunately I had a coupon and only paid $5. So what do you think? Are you on this plastic bandwagon? Yay for more Australian brands! If you are interested in viewing other Australian brands, feel free to check out the You've Got Nail blog. Ulta3 has some awesome colors and I definitely recommend them. Envy is a really awesome gold/tan foil polish that reminds me a bit of Nina Ultra Pro Velveteen Rabbit. These metallic foils always stand out on the hand. So these aren't really similar to Minx nails, but it made me think of them. Has anyone ever had this done? Revolutionary Perfect Nail Treatment from CHI Ceramic Nails. Advanced American Technology with Ceramic for stronger resistant nails, silk for an incredibly brilliant finish and Nano Silver for the ultimate in protection has never seen before in the professional nail industry.